ATTENTION!!! Mayor Bicycle Challenge/Proclamation Tonight!!! Hope every ones weekend was great and that you got to ride some bicycles. This evening we have a chance to show our support of bicycle riding in Provo and of Mayor Curtis’s efforts to make bicycling a more viable and safe form of transportation. Tonight at 7pm at the city building downtown (351 W Center St.) in the big conference room downstairs Mayor Curtis will be reading a proclamation/challenge about bicycling. He will be proclaiming bicycles as viable means of transportation and, challenging the citizens of Provo to take a trip or two a week by bicycle of other alternative means. This is a big deal. 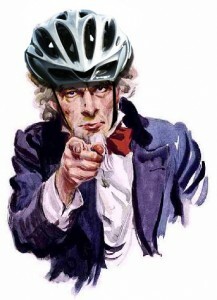 The Provo Bicycle Committee is asking that everyone who can make it be there. The proclamation will be short and everyone can leave after the comment section of the meeting. This will be about a 30min commitment to pay off big dividends. Afterwards I know there are a few people planning on going out to get food or dessert so this will also offer an opportunity to get together with other cyclists. I know BikeProvo will be there I hope that all of you can be there as well. If you can make it or not please let everyone you know who may be interested know about this and encourage them to come. This is a chance to show Provo City that we exist lets make it a good one.